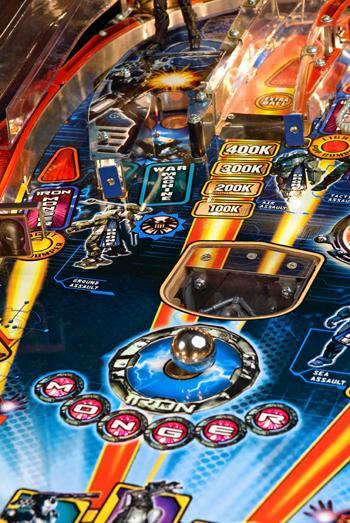 Iron Man™ Pinball brings you action and adventure in the Super Hero™ Marvel style. Iron Man™ Pinball is a full-sized arcade pinball machine that provides non-stop action for pinball players of all ages and skill levels. Join billionaire industrialist Tony Stark, played by Robert Downey Jr., as Iron Man, the metallic super hero, on a thrilling action-packed adventure as he battles his enemies. 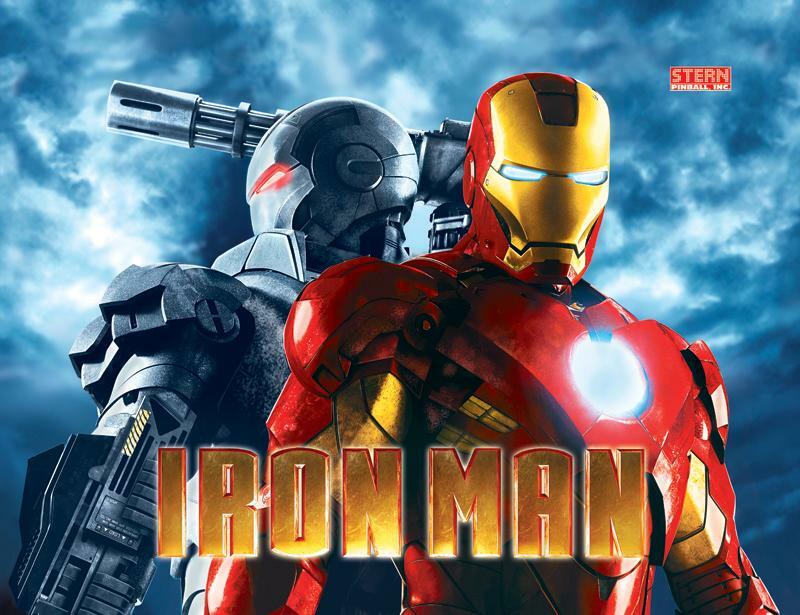 Iron Man™ Pinball features visuals, speech, music, and sound effects of Iron Man and his enemies from the Marvel blockbuster film, Iron Man 1, and the all-new Iron Man 2 movie, opening May 7, 2010. 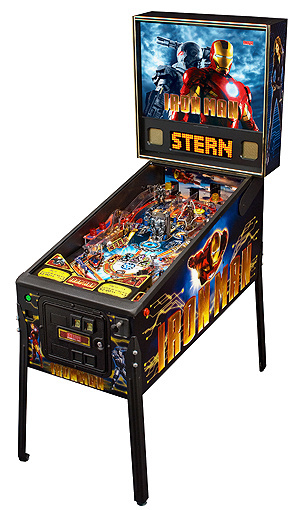 Iron Man™ Pinball is sure to be a hit with fans of the famous Marvel comic book series, TV cartoons, and films. 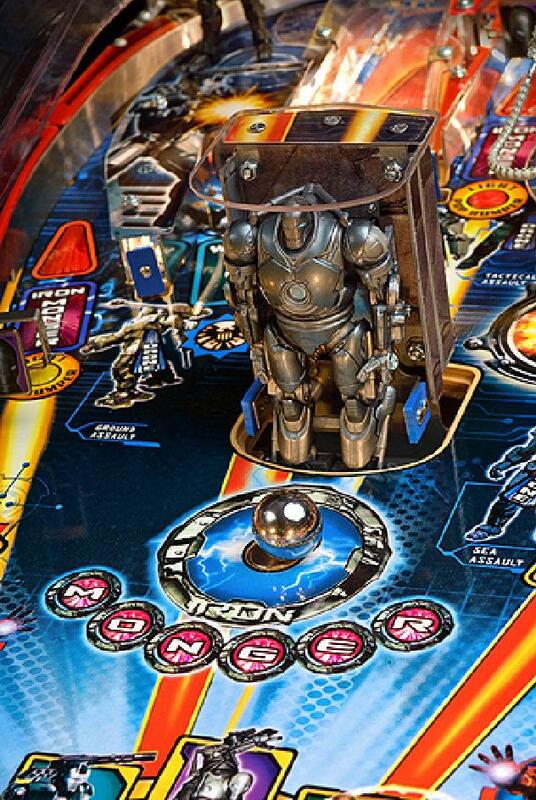 Pinball players will fight against Whiplash and his ball-catching mechanism, which whips the ball around the playfield; Adding to the challenge is the mechanical War Machine, firing the pinball back to the flippers; and Iron Monger, rising from underneath the playfield to do battle. Iron Man™ Pinball also features two elevated ramps and lots of multi-ball action! Brand new pinball machines are only available through advanced purchase. All equipment purchases can be made in person, over the telephone or online using our PayPal account (limited availability). Equipment prices do not include shipping, delivery, transportation, crating, installation or insurance. These charges vary and must be calculated before the sale can be completed. All payments must be received before customers receive merchandise.